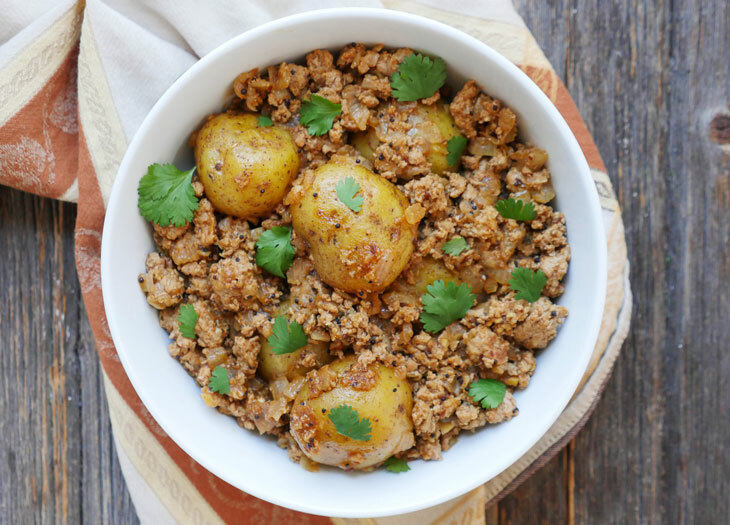 This ground pork vindaloo is spicy, tangy and absolutely delicious! Think of this dish as spicy comfort food: the Indian version of meat and potatoes – with a bit of tang! 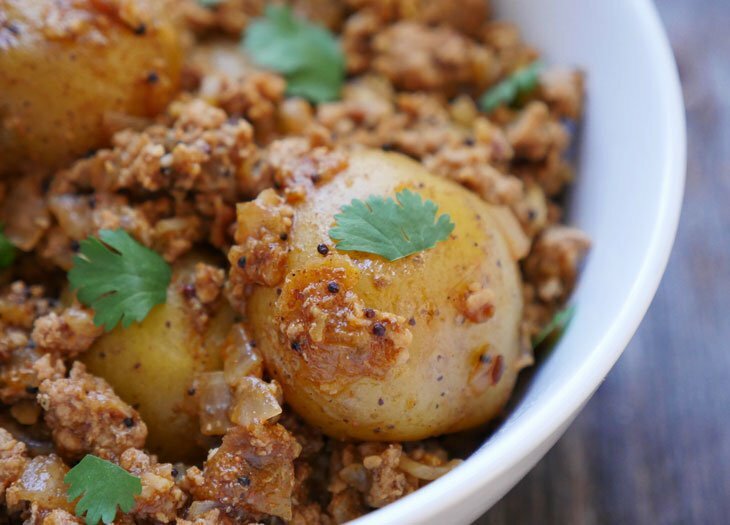 This ground pork and potato vindaloo is the perfect weeknight recipe. 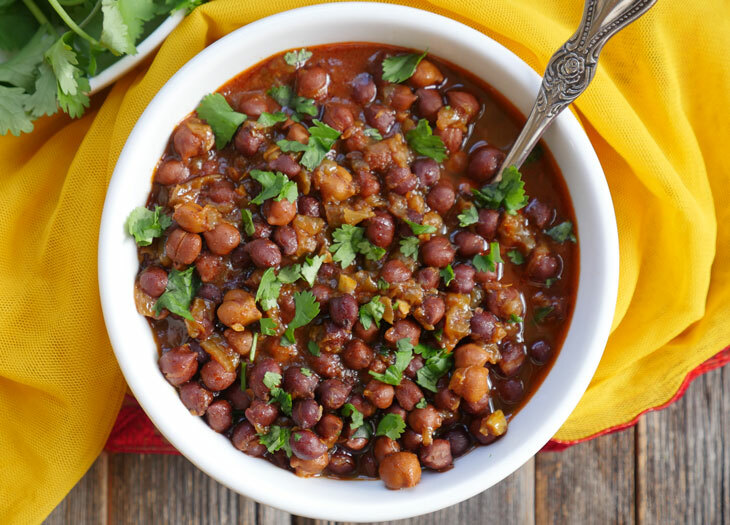 It’s really simple to make in an instant pot. If you have my cookbook, then you know I have another pork vindaloo recipe in there (which is excellent by the way). There are a few differences between that recipe and this one. This ground meat vindaloo isn’t as saucy as the pork vindaloo in my cookbook and this one obviously calls for ground meat rather than pork shoulder. I wanted to create something a little different for the blog and this is it. It’s a more casual recipe compared to the one in my book which would be great for a weekend or for a dinner party. Vindaloo is famous for being a Goan curry, but it is actually of Portuguese origin. 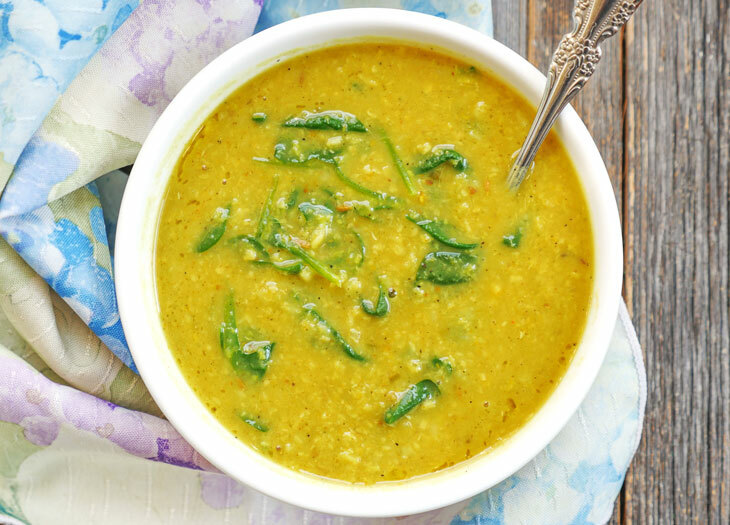 The dish was brought to India by explorers where the recipe was adapted using local ingredients and spices. 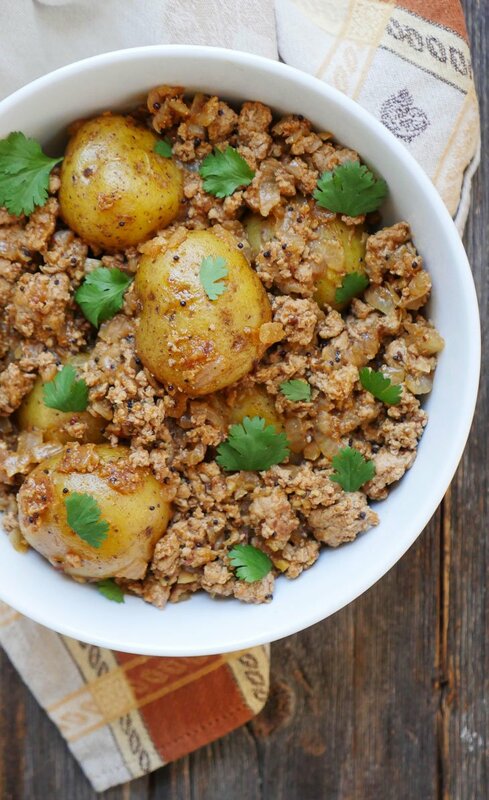 This ground pork vindaloo calls for vinegar, which adds a tangy flavor to the dish. This is our new favorite way to eat ground pork – I’ve been making it weekly because it’s just so easy and delicious. I have yet to try this with ground beef or ground chicken but I’m sure it will be just as good! If you try it that way, let me know! 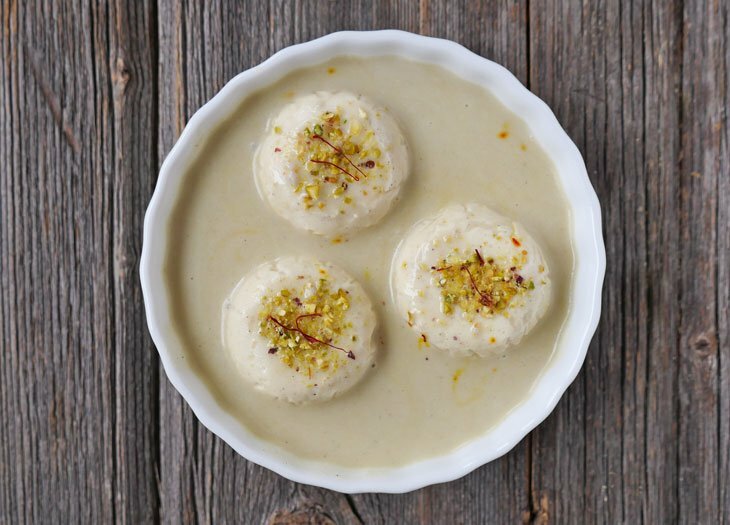 You can serve this with my basmati rice or brown basmati rice. If you have my cookbook, then make my peas pulao! Press the sauté button, add oil and allow it a minute to heat up. Add the cumin and mustard seeds. Once the cumin seeds brown, add the onions and Serrano pepper. Stir-fry for 5-6 minutes, or until the onions begin to brown. Add the ground meat, garlic and ginger and cook until the meat is mostly browned. Add the spices, give everything a good mix, then add the vinegar, water and potatoes. I have yet to try this with ground beef or ground chicken but I’m sure it will be delicious! If you try it that way leave a comment to let me/us know! We loved this! I doubled the amount of spices, but left everything else the same. It was delicious! 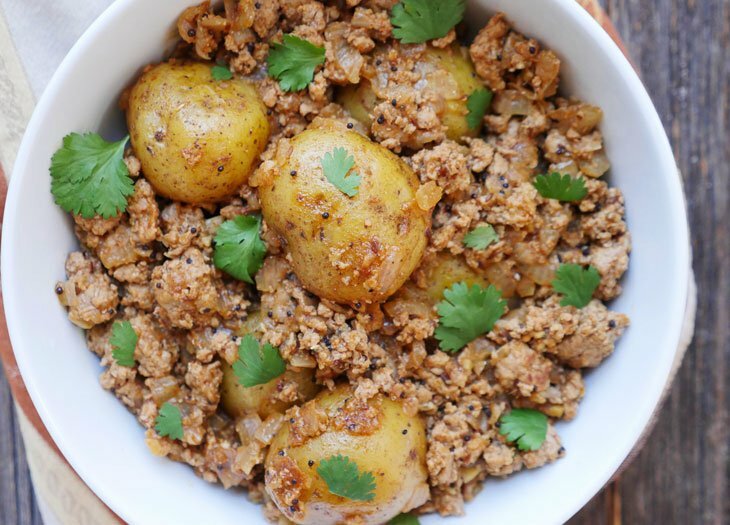 I did make the Instant Pot Ground Pork Vindaloo with Potatoes recipe with ground lamb, all I had on hand and it was delicious, just not enough for 3. Have to make more next time. Left out the serrano and it was the perfect spice level for my 21 month old who kept saying “yummy!” Great recipe, thanks!! Sarita, that’s so great to hear!! So happy your kiddo liked it!! This was amazing. I’ve never had an Indian dish with pork in it before, but this was instantly a favorite! So savory! I don’t have an instant pot. Can this be modified for stove top? We enjoyed this recipe very much. The first time I made it with ground pork and the second time with ground beef. Both were very delicious, but the ground beef was our favorite. Thanks for such a great recipe. I can’t get enough. I made this recipe tonight using ground bison, and it was delicious! The whole family and one guest loved it. Next time I’ll have to make more! I’m so happy to hear that! Thanks for letting me know how this turned out for you using bison! This was a perfect meal for a busy weeknight, and so delicious and fragrant. The cook time was also perfect for cooking basmati rice in a bowl stacked on a tall trivet. This is a keeper! This is very similar to our favorite dish at the local Peruvian restaurant, Arroz Tapada – I left out the Serrano pepper, added raisins before pressure cooking, and added a fried egg on top , like the arrow tapada we get – so very good and easy to make! That sounds delicious – love the idea of adding a fried egg on top! I made this tonight but added diced acorn squash, diced red and yellow bell peppers, and diced celery. I wanted to add more veggies for the family. It came out delish! Thank you for the inspiration. Hi there! This was delicious. Thanks so much. I will make this again and again. I used cut up potatoes b/c I cooked the dish in a heavy stainless steel skillet on the stove top. I found that I needed to use about 3/4 cup of water for half a recipe for 2 of us. My meat mixture was half beef, so it may have bit a bit more dry than using all pork. I could have increased the EVOO. I wanted a bit of thickness for the sauce, so I sprinkled on about 2 tsp of flour near to the end. That worked well. I’d used 5% white regular vinegar, and the next time I will try rice vinegar or use the cider vinegar, as you had suggested. I got around the stronger vinegar taste by adding a bit of honey, I’m not sure I liked the coriander – though perhaps I was supposed to use powder? I increased the cinnamon a bit. Used a jalapeño b/c that was all I had on hand – I HAD to make it when I saw it b/c reading the recipe made me so eager to make it right away! Towards the end I also stirred in some braised and chopped rapini. That added nice colour and taste b/c I didn’t have any cilantro. And rapini is so good! Helen – Burlington, ON Canada! Helen, I’m so happy to hear that you made it! Thanks for letting us know how it turned out on the stovetop 🙂 When my recipes call for coriander it means the powder and if I say cilantro, that means the herb 🙂 Hope that helps!